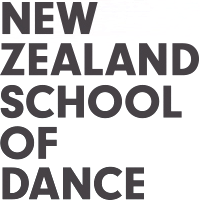 To launch the fundraising programme for the New Zealand School of Dance (NZSD) 50th anniversary celebrations in 2017 the School aimed high and hosted High Tea with Darcey Bussell. With the opportunity to sip tea alongside a true legend of dance, our ‘High Tea with Darcey Bussell’ always promised to be something special. The courtyard ambience of the NZSD plaza provided the backdrop, while striking vintage tea settings and elegant floral bouquets completed the scene. The mood was made festive with a string quartet, photos with Darcey, tutu display, activities for children, and an auction. Earlier in the day Darcey held a sold-out coaching session with two NZSD students. Returning to host the high tea she couldn’t have been more giving of her time; greeting star-struck guests, signing books and shoes and inspiring us all in her Q&A session with NZSD director Garry Trinder. Following the event, the School was inundated with thank-you messages. Here is a selection to paint a picture of what proved to be a very special day for all involved.